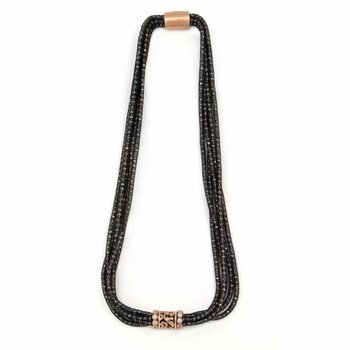 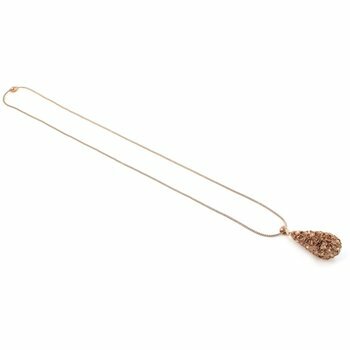 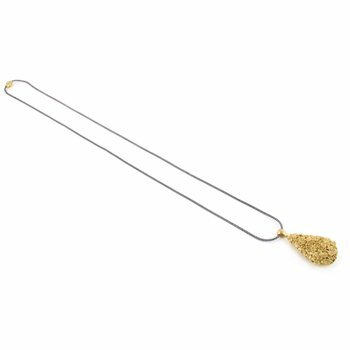 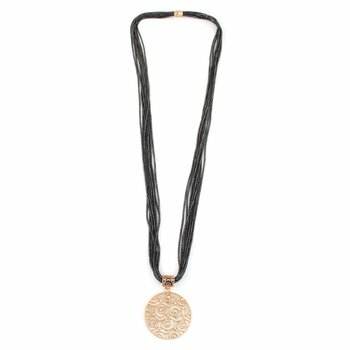 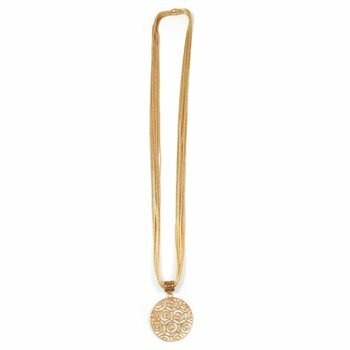 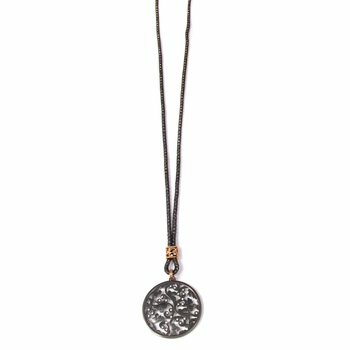 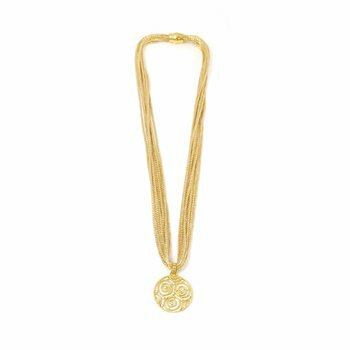 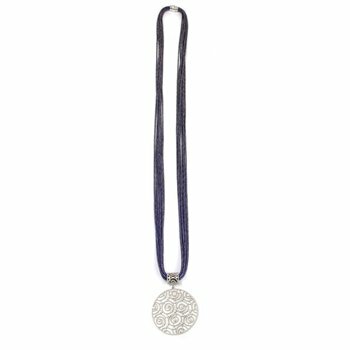 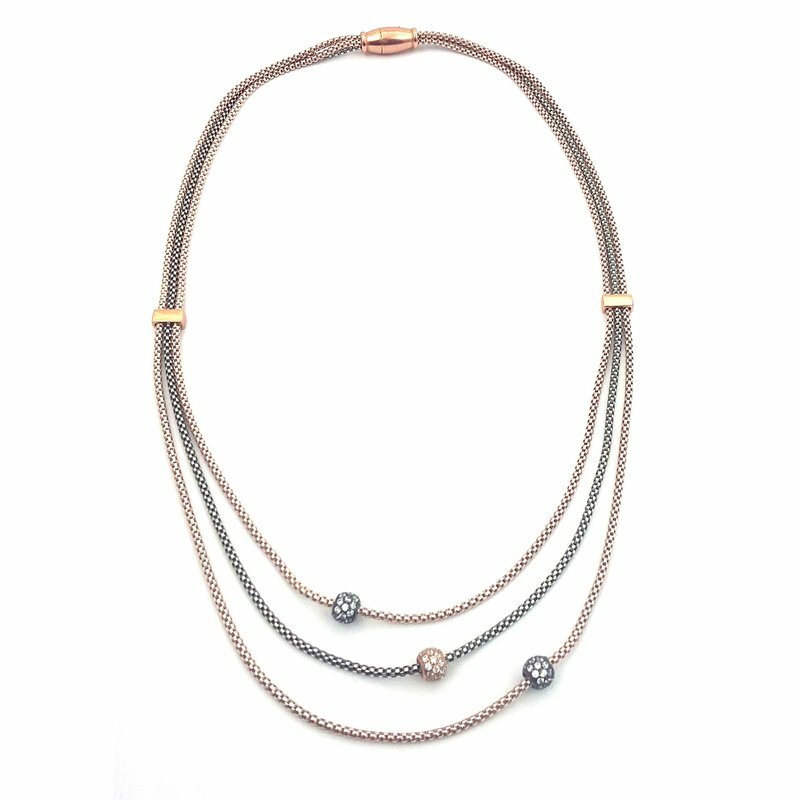 Luca Dream Collection Rose Vermeil and Black Rhodium Sterling Silver smooth, woven chain Necklace. 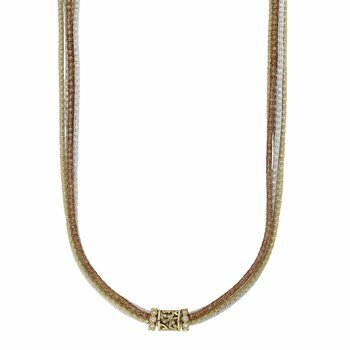 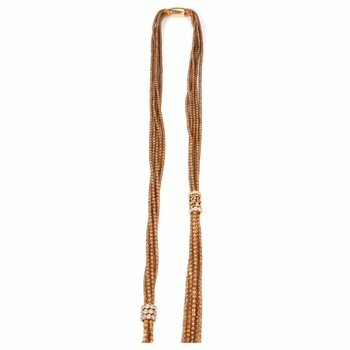 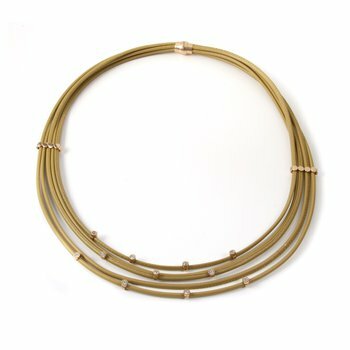 This bib-style, three strand necklace has a single, round bead containing multiple White Sapphires. 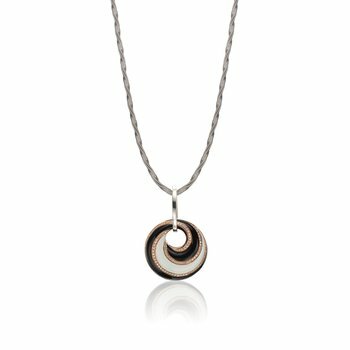 The two rose strands, which are at the top and bottom of the necklace contain Black Rhodium strand with white sapphires. 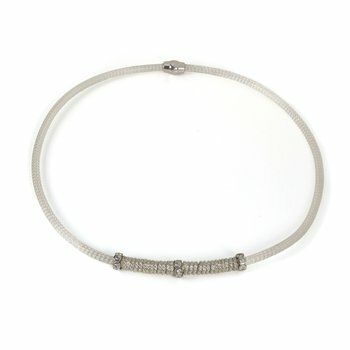 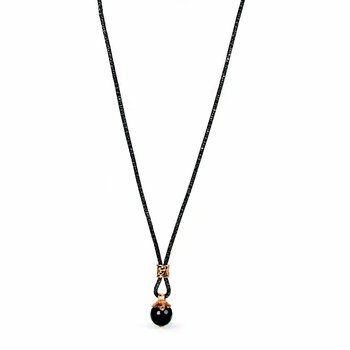 the center strand is Black rhodium and contains a rose vermeil bead with white sapphires. 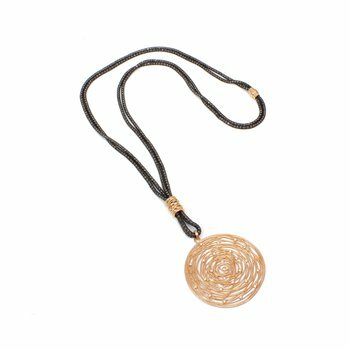 Magnetic clasp closure in Rose Vermeil.